I knew it would. I knew this was going to be a SIN (Stash Increasing) Full week end. And it was. Friday found me at the Socktacular--(did I take a photo? No!) The turn out was huge—people came and went, but easily 50 people-- there were lots of chairs and seats, but it was standing room only for most of the event. 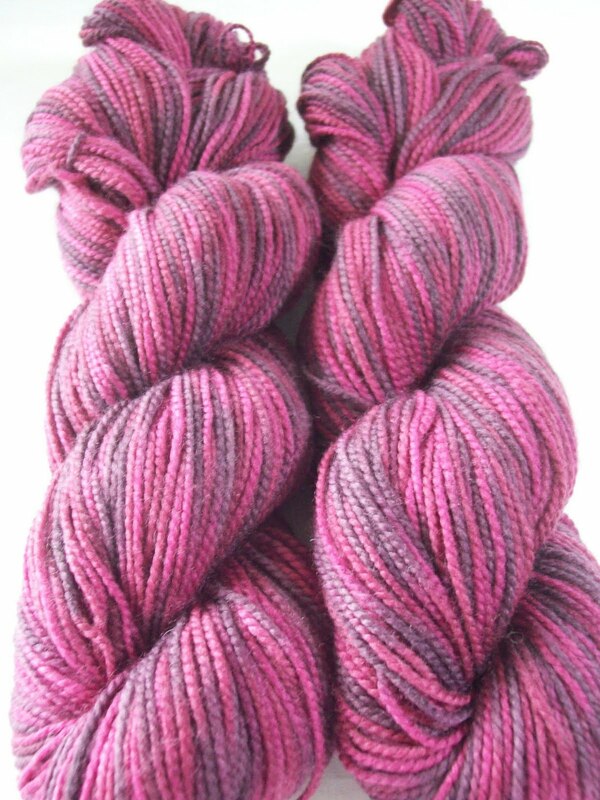 I know I can buy LB Sock Ease as P &S (a LYS in Manhattan) for $7.99 (20% of the list price) any time I want—but I don't often get down there. And I really appreciate the Lion Brand Studio, and the effort made to do this. So 3 skeins (at 10% off for the event) came home with me. The hard part was which ones.. Purple--I knew for sure.. and the teal, it was a pretty safe bet, too, but #3? Would it be the brown? Or the white to hand paint or dye to another color? The red ocher (circus peanut)? It was so much prettier in person than the photo would suggest. In the end—as you see, green apple. Each skien of the LB make 1 pair (and more) of socks. I have 3 more skeins of the not solid, not really striped Sock Ease/the taffy (taupe) the Toffee (teal blue) and the Sour Ball (lime green) and these solids coordinate well with the solids. 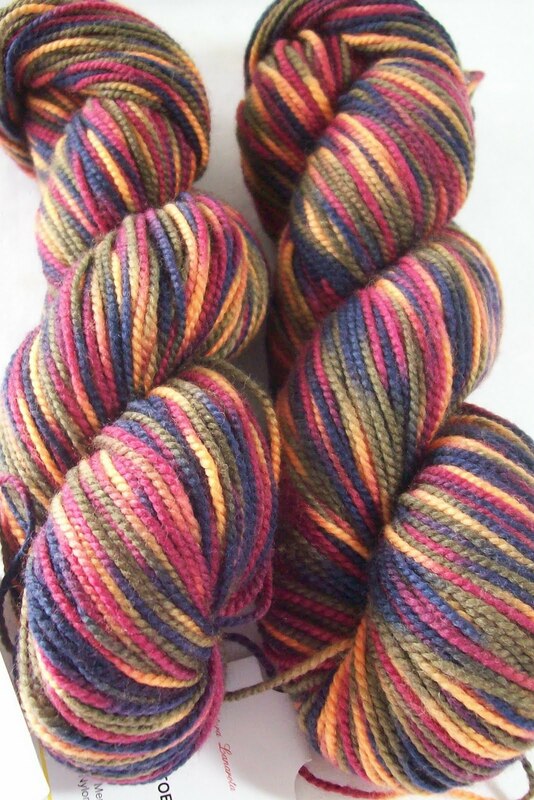 –so there are options for stripes, or contrasting borders, or fair isle, or.. well lots of options. Plus I often mix and match different brands of sock yarns together—I use my Wraps per Inch tool to make sure the are comparable. And I have a lighter shade of purple, and light shade of green solids and my home dyed skein of purple, teal, green and blues.. just 50% of the hand dyed, so I will need some solids to work with the yarn..
Friday was the start of the SIN—this morning, its was SIN again! I headed to Smiley's Yarns. And stepped in it! 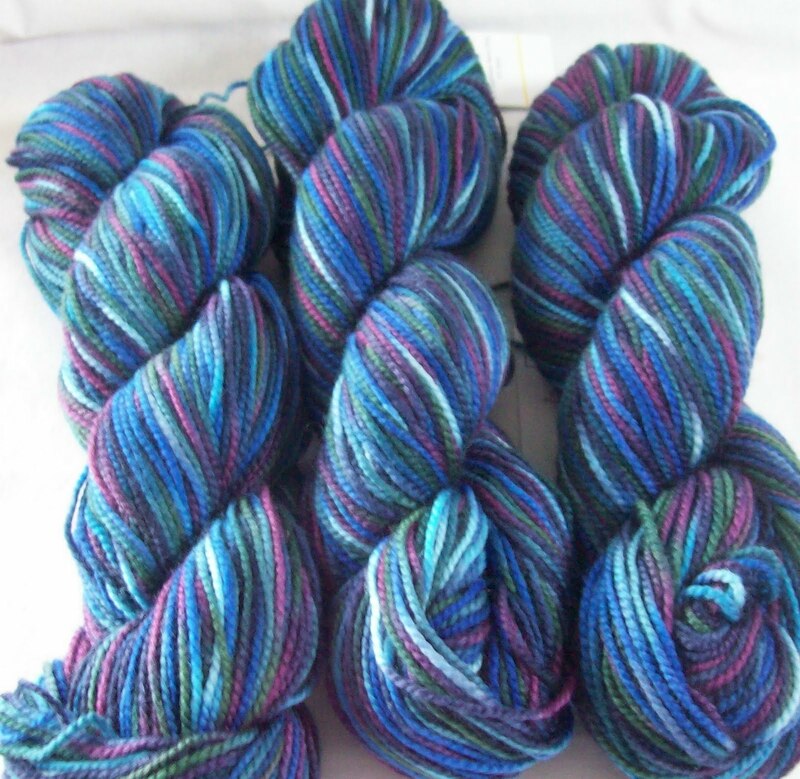 First Sock yarn –this is what I went for. Filatura Lanarota Fashion Toes. 90% merino, 10%nylon—50 gm/195 yard skeins. Lovely Stuff! 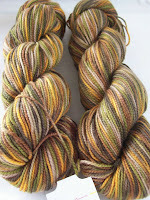 The ocher and olive, I was ho hum about. 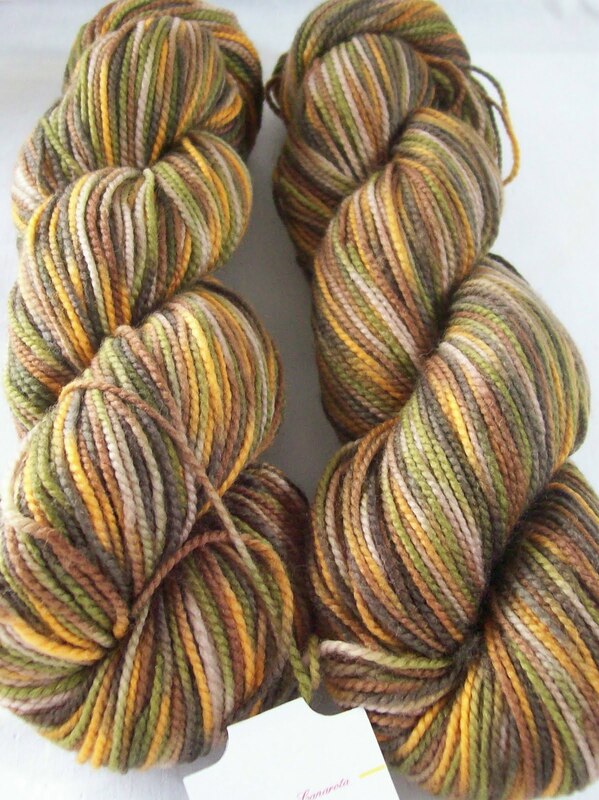 But thought for a moment and realized, I have lots of greens and and browns, and ochers (and my DIL wears these colors almost exclusively) and I really needed this color way. 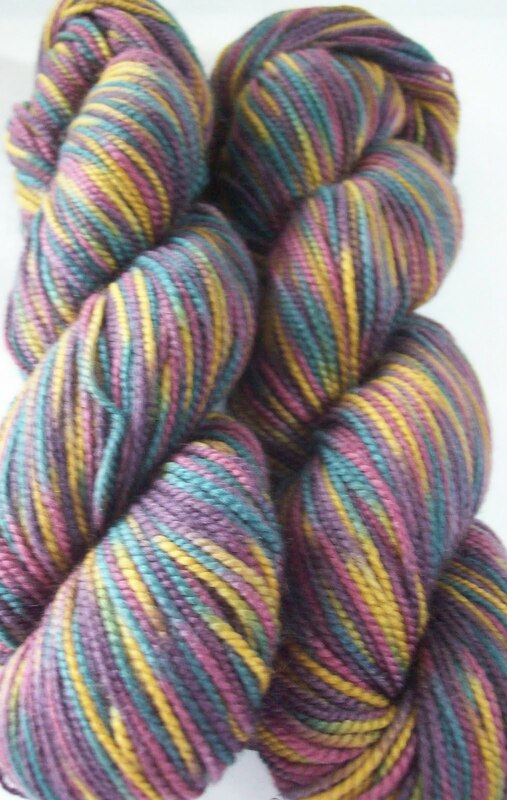 The other color ways are bright jewel tones, and will match any number of things (sort of) but I do love the color ways! So it came home with me. Now, do I make something for me? 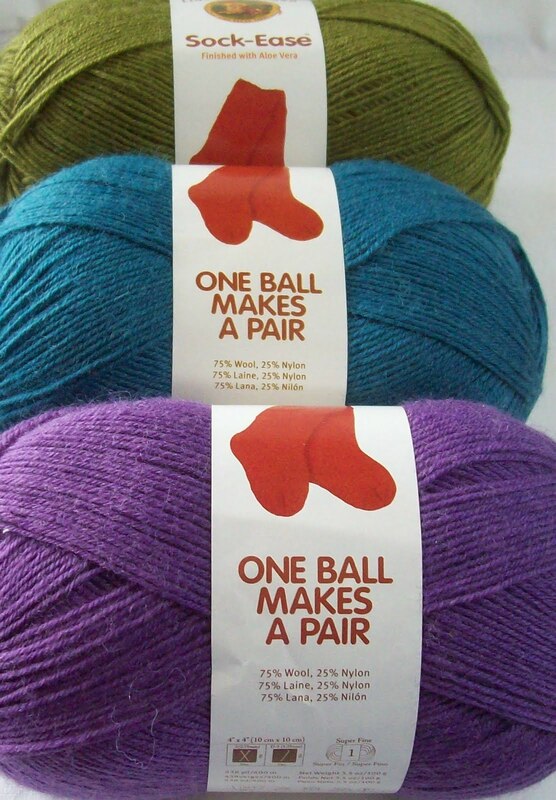 (the label suggest 9 balls for medium, long sleeved sweater. I have 10 (but I am not size medium) —or do I make something for Grand daughter? ( maybe a sweater for her, and (something!) for me? 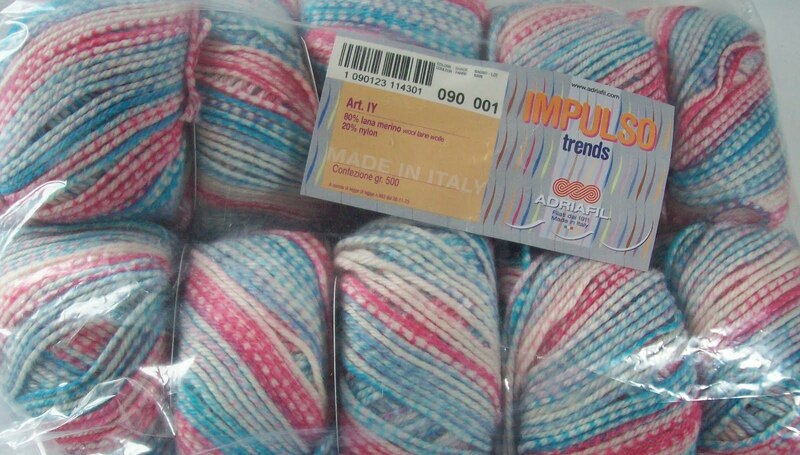 I'll chose on an impulse! Nice haul. Lucky you for finding such great deals. Impullso--love the name! Wow! They would be great additions to anyone's stash. I'd be bouncing up and down with all the possibilities!